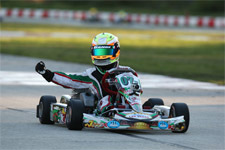 Anthony Gangi Jr., a member of the GT7 Motorsports kart racing team, put the Comer Cadet field on notice as he completed a dominant performance this past weekend at the opening round of the Great Lakes Sprint Series held at the newly renamed Pittsburgh International Race Complex (formerly BeaveRun Motorsports Complex). Gangi Jr. would run at the front of the Comer Cadet field throughout the two-day event held under chilly and windy conditions. 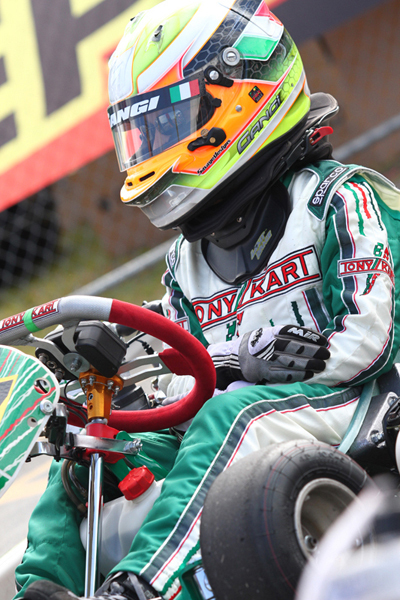 The Chris Perez tuned Tony Kart Cadet chassis was quick all weekend in the always-tough Comer Cadet class that included some the region's top competitors. "This was a major step forward in our Comer Cadet program," commented Anthony Gangi Sr., GT7 Motorsports Team Principal. 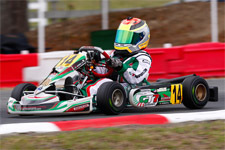 "We felt that the Tony Kart would be good and it really impressed us all. Ant (Anthony Gangi Jr.) drove incredible in every session. A couple of calls didn't go our way, but that's ok. 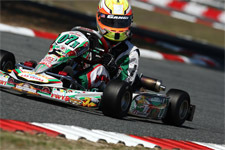 The kart and engine package we now have is awesome." On Saturday, with flurries in the air and temps hitting the single digits, Gangi Jr. would be quickest in morning practice followed by setting the fastest time in qualifying to secure pole position for the prefinal. With extreme conditions and a storm in the area, race officials cancelled the prefinal race and drivers headed straight to the final. In the final, Gangi Jr. would use his inside front row starting spot to lead the field out of corner one and staying out front all the way to the checkered flag. A post race penalty for tire scrubbing on the pace lap cost Gangi Jr. three spots and the win, with the ten-year-old racer being classified in fourth place in the final order. Sunday was a new day and with it came warmer temperatures, as Gangi looked good to repeat the previous day's magic. The NYC resident would go quickest in practice and again set fast lap in qualifying to earn another pole position. In the prefinal it was a great battle with Gangi Jr. taking the win, but a post race penalty for blocking demoted Gangi Jr. one position to second place. 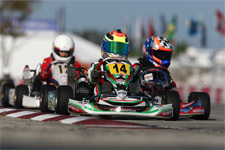 The final was a three-kart duel at the front as the lead group, pushed by Gangi Jr., began to pull out a gap on the field. 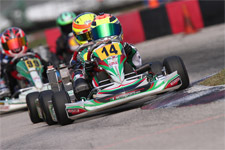 All three karts came to the front stretch but a driving error on the part of the kart in second spot prevented Gangi Jr. from drafting by for the win and instead leaving him in third place as he crossed the line. "The kart and engine were perfect all weekend," comments Gangi Jr. "I want to thank Chris (Perez) and Gary (Woltjer) for giving me a great set-up. I'm still a bit confused by some of the calls, but this wasn't the weekend that matters. I am very excited to get back to the Pittsburgh Race Complex this weekend for some WKA action. It should be awesome." 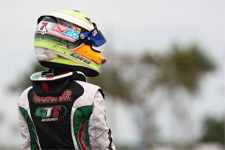 Gangi Jr. and his GT7 team return to the Pittsburgh International Race Complex (formerly BeaveRun Motorsports Complex) this weekend for the third round of the WKA Manufacturer's Cup Series.